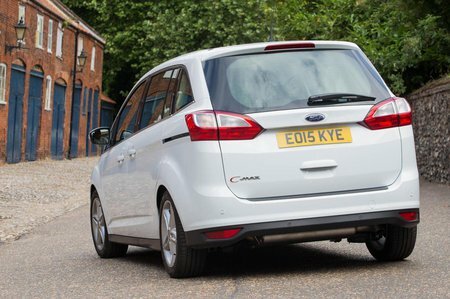 Ford Grand C-Max 1.5 TDCi Titanium X Navigation 5dr Powershift 2019 Review | What Car? What Car? will save you at least £3,839, but our approved dealers could save you even more. This top-spec trim comes with all the bells and whistles, including electrically adjustable driver’s seat, heated front seats, part-leather upholstery, a panoramic sunroof and power folding side mirrors, but it’s too expensive to be recommendable. This is our pick for company car buyers. By diesel standards, it’s quite a quiet engine and there is plenty of mid-range response to satisfy even long-distance motorway drivers.